We are committed to getting to know you as a person with personal needs and goals - far beyond your list of tradable assets. We are here to educate. We understand finances and planning may not be your specialty. It's ours. We are here to make managing your financial plan comfortable, understandable, and clear. We are vested in your long-term financial success. Our advice is focused on your needs and goals, period. We put a plan in writing. Your financial future isn't crafted on a napkin. We carefully craft a plan you can study, understand, and refer to at your convenience. We review your plan with you. Your future is too important to put on a shelf. We pull out your plan, schedule reviews and make changes as needed. It takes a team to bring you the breadth of expertise you deserve. 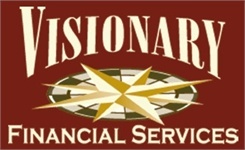 Visionary Financial Services understands and takes the collaborative approach. Our professionals have years of experience in financial services. We can help you address your needs of today and for many years to come. We look forward to working with you through all stages of your life, please call (402) 694-4330. Securities offered through Registered Representatives of Cambridge Investment Research, Inc., a broker-dealer member FINRA/SIPC. Advisory services through Cambridge Investment Research Advisors, Inc., a Registered Investment Adviser. Cambridge and Visionary Financial Services are not affiliated. Securities registered in Nebraska, Colorado, Florida, Indiana, Missouri, South Dakota and Wyoming.